5% Design Action adhere to the design essence and to co-create new value. 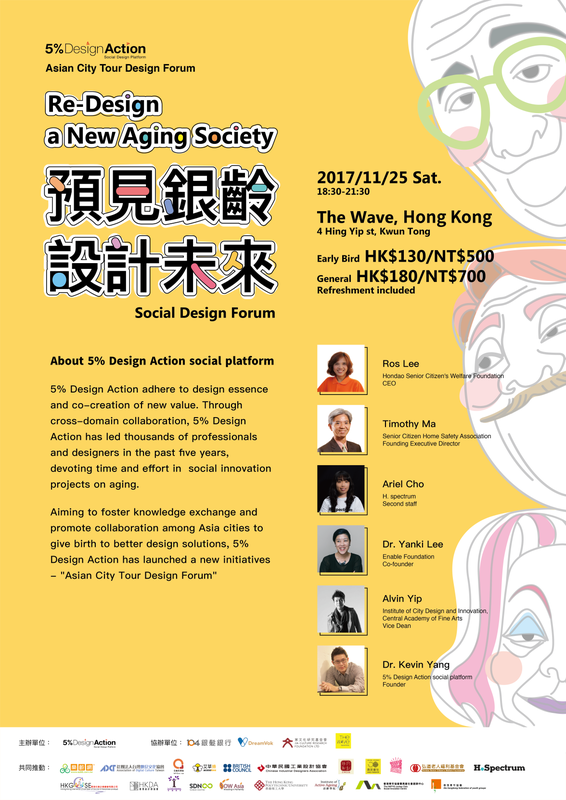 Through cross-domain collaboration, 5% Design Action led thousands of professionals and designers these five years, devoted to social innovation projects of aging. Moreover, 5% Design Action is now organizing "Asian City Tour Design Forum" actively, looking forward to working with various cities to exchange past experience, and jointly promote to give birth to better design.